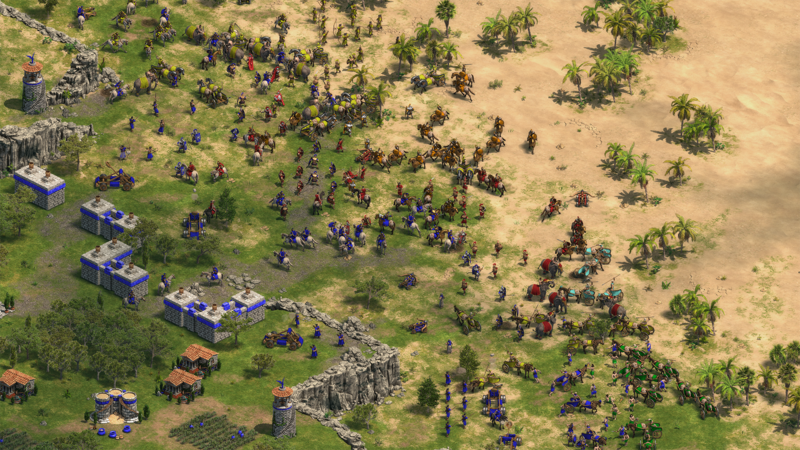 If Age of Empires: Definitive Edition is merely an exercise in nostalgia, then it is a cockle-warming, sepia-hued triumph. But from the quality of this remaster, talk of a reinvigorated multiplayer scene, and of their longer term plans for the Age of Empires franchise, it is clear that Microsoft are pitching this to all modern gamers as much as dewy-eyed ‘90s veterans. So if you do not remember floppy disks, if you cannot recall a time before DLC, and if all RTS means to you is MOBA, then will Age of Empires still matter? With the Definitive Edition, you need not worry about being turned off by ancient audio or visuals. All-new assets have done a terrific job restoring the game’s classic aesthetic without spoiling it. It is stirring stuff for veterans – the sounds you remember are back, from the hssh-whoaof unit recruitment to the iconic wololoof priestly proselytisation – and ought to impress newcomers, too; I am reasonably confident it is not my bias talking when I say this soundtrack is exceptional. And so handsome are the units that it was a little jarring to find that they still control like they used to. This is still a 2D engine with a 2D map, and though the new units were created as 3D models, they have been rendered back out as 2D images. They may be much better looking, and more facings have been added for smoother rotations (though some larger units still twitch comically when they change direction), but for the purposes of collision detection they are still defined as tiles on the map. This means they get in one another’s way, and despite assurances from creative director Adam Isgreen that improving the 20 year-old pathfinding AI has been a particular focus, it still throws up regular frustrations. For example: a familiar Three Stooges scenario plays out when I order a fleet of trireme galleys through a narrow channel between two islands. I watch the large ship models overlap one another, twitching like confused flies, as they try to find a way through. Some abandon the channel for an alternate route around the northern island, where they are sitting ducks for enemy guard towers. Welcome to micromanagement, ‘90s style: not switching formations nor comboing special abilities – since there are neither – but manually ordering units through bottlenecks. At a less granular, less technical level, though, it is heartening to see how well the gameplay holds up. 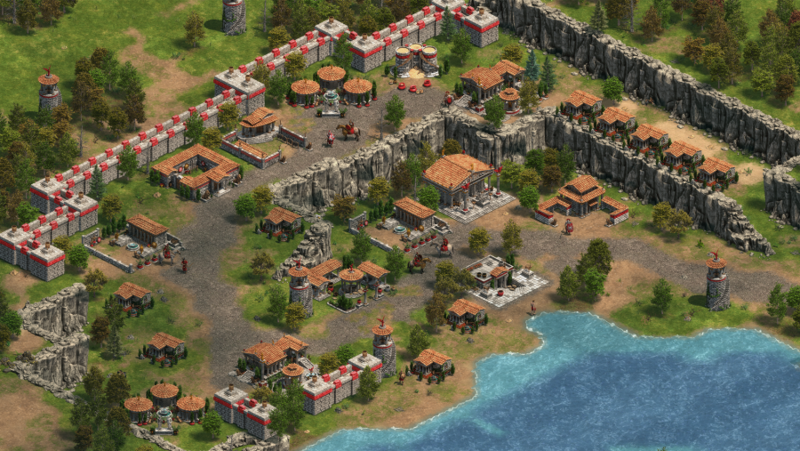 At its core, Age of Empires remains a brilliantly designed game. There are 16 civilisations, and though they share a pool of common units rather than having bespoke rosters as in, say, StarCraft, they play very differently nonetheless. Each civ gets a few historically inspired bonuses to certain units or tactics, while others are entirely locked off. These asymmetries are further complicated by the game’s economics and its age system. The tech tree is divided into four ages, and while advancing to the next carries a hefty price in time and resources, it is necessary if you want to field the game’s strongest units. Of those resources, there are four – more than most RTS games. They can vary in abundance between campaign scenarios or game setups, but gold is generally the most scarce, which makes the units that depend upon it feel precious – in other RTS games, reliably producing high-end units is merely a matter of growing your economy. Civilisations’ strengths and weaknesses are scattered across these systems and the unit tree to create a satisfyingly meaty ‘meta’. This was true in the original before that word ever entered the gaming lexicon, and all that has needed to change is a few minor balancing tweaks. For example, the Palmyrans can access many unit trees, but are denied the top tiers of most, which hurts their endgame. Their villagers work faster, but are more expensive, which makes it harder to get their economy off the ground. Thus they are best played as a mid-game booming civ, with an economy that is strong once it gets going and a broad choice of units for their armies. By contrast, some civ bonuses are so narrow that you can guess at their army composition. 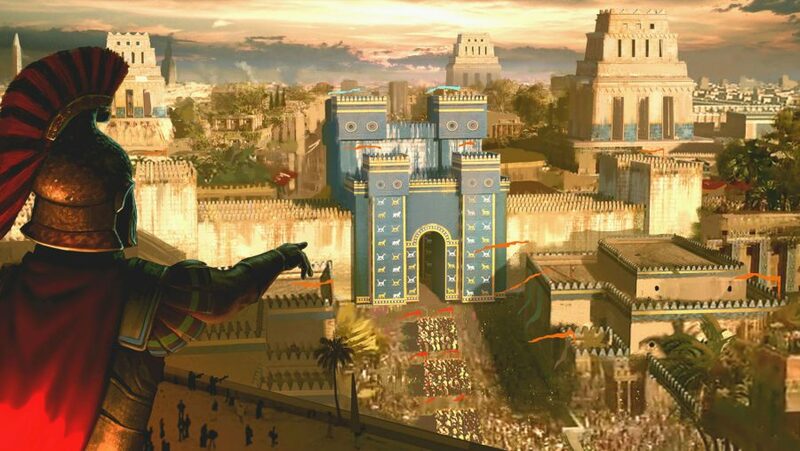 Egypt have no Iron Age land combat units except the war elephant and elephant archer, and a +33% bonus to chariot hit points that it would be crazy not to exploit. This makes a Bronze Age chariot rush one of Egypt’s strongest plays, and challenges you to counter it. Do you turtle with walls and archers? Do you preemptively rush in the Tool Age? How will other players, and their positioning on the map, affect your approach? Factor in technological asymmetries, and debates about which civ is best could rage for days. Even if two civs have access to the same unit – a Legion, say – one civ’s Legion may be stronger than another’s if their rival lacks access to certain endgame techs, such as Metallurgy, which buffs all infantry and cavalry yet is unavailable to six civs. Another of Age’s big ideas is multiple victory conditions – common in 4X, but not in RTS. Standard random map games can be won by wiping out all rivals, sure, but also by building and defending a Wonder, holding all Ruins (special buildings), or holding all Artifacts (special units, albeit ones which move painfully slowly). This rewards playstyles based on exploration and turtling, rather than straight offence, and I cannot understand why more RTS games have not developed these ideas. So if multiplayer RTS is your thing, there should be lots of interesting strategies for you to try across all these 16 civs. I say ‘should’ because, due to the non-existent population, I was unable to play any multiplayer during our review time (I substituted such activities with a few custom games versus the AI). 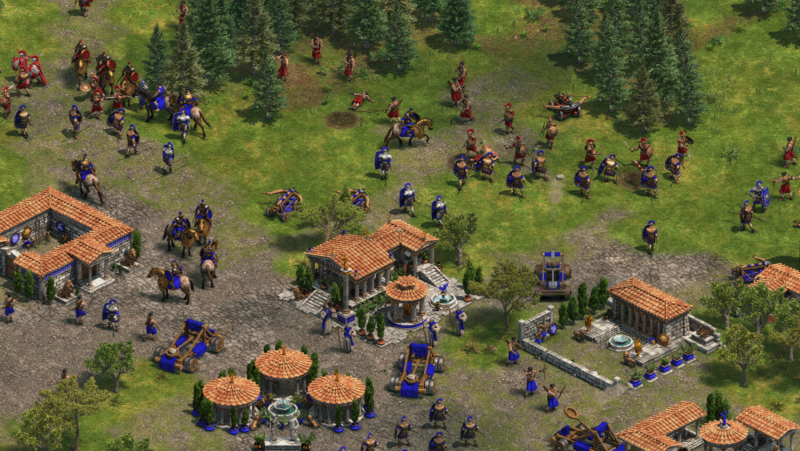 It is worth discussing nonetheless, because if Age of Empires: Definitive Edition is to be more than a brief, bright flash of nostalgia, multiplayer will be key to that longevity, as will fresh content. On that point, Microsoft aren’t talking DLC yet, but the scenario and campaign editors from the original are returning. Since the Microsoft Store cannot match the Steam Workshop for convenience when it comes to sharing and curating community content, there will be a new website dedicated to these functions. Some form of mod support is also promised. Besides multiplayer and custom game modes, there are ten single-player campaigns that will take you through some of the ancient world’s most important conflicts. This is where my ten year-old self, and countless other gamers of my generation, learned to love history, and I think it is entirely right to commend Age of Empires: Definitive Edition for presenting the ascent of Caesar, or Alexander’s campaigns, in an engaging way. Though storytelling devices during each scenario are limited, voiced narration provides each with its historical context, which you can explore further via its history tab. I enjoy delving into the lore of a fantasy universe, but it really is much more interesting when it actually happened. Among ‘90s RTS games, Age of Empires was one of the best at varying the rhythm of its campaign missions through intricate starting setups, scripted events, and varied victory conditions. While this helped to obviate the recurring problem of missions losing focus once their initial challenges were overcome, it was not – and still is not – wholly successful. More than once I had to endure the tedium of chasing down every last enemy unit to finally claim victory. 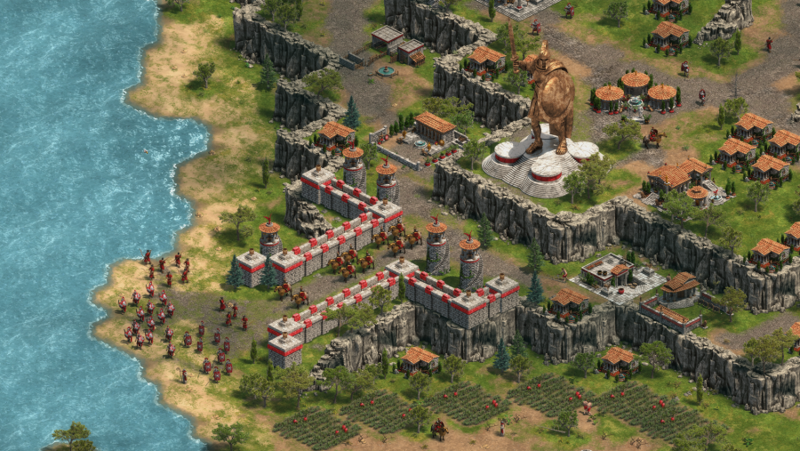 So Age of Empires: Definitive Edition is still lumbered with some of the quirks of its ‘90s origins. This is understandable – it is a remaster, not a remake – but those quirks do cause some friction. Beneath them, though, the underlying gameplay remains as solid as a fully upgraded phalanx. Some of Age of Empires' ideas are almost as fresh today as they were 20 years ago, which says something rather damning about the genre as a whole. The game also looks and sounds terrific, and fans of the original will be delighted. But the project isn’t merely an exercise in digital archaeology - there is plenty to engage younger strategy gamers, too.